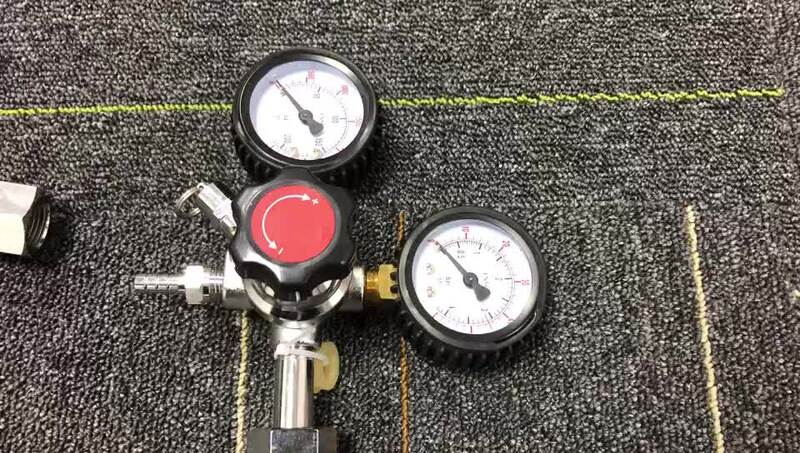 Three style for your choose:CGA320, W21.8,G5/8. 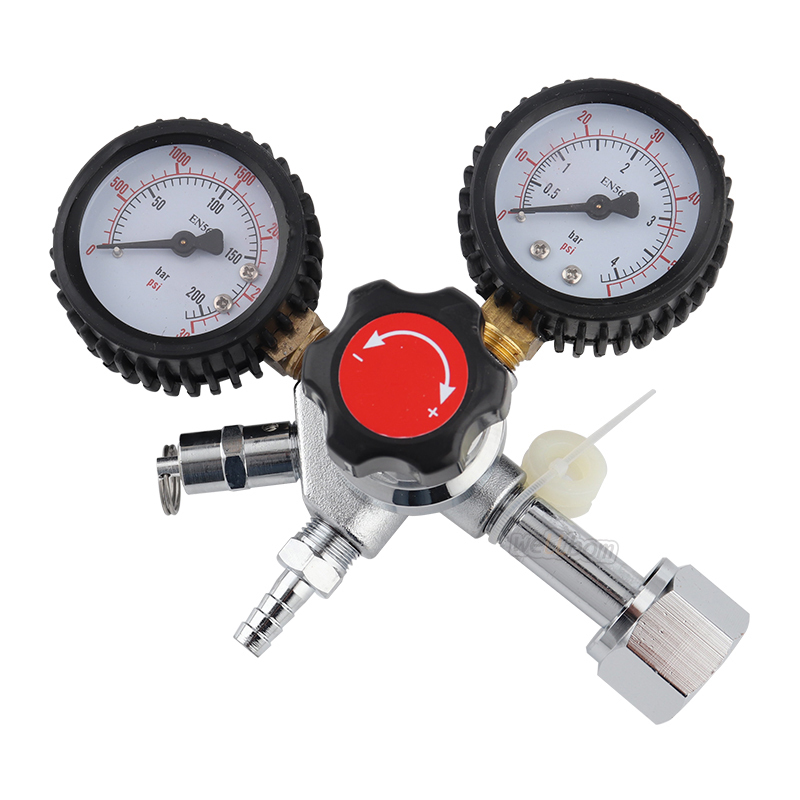 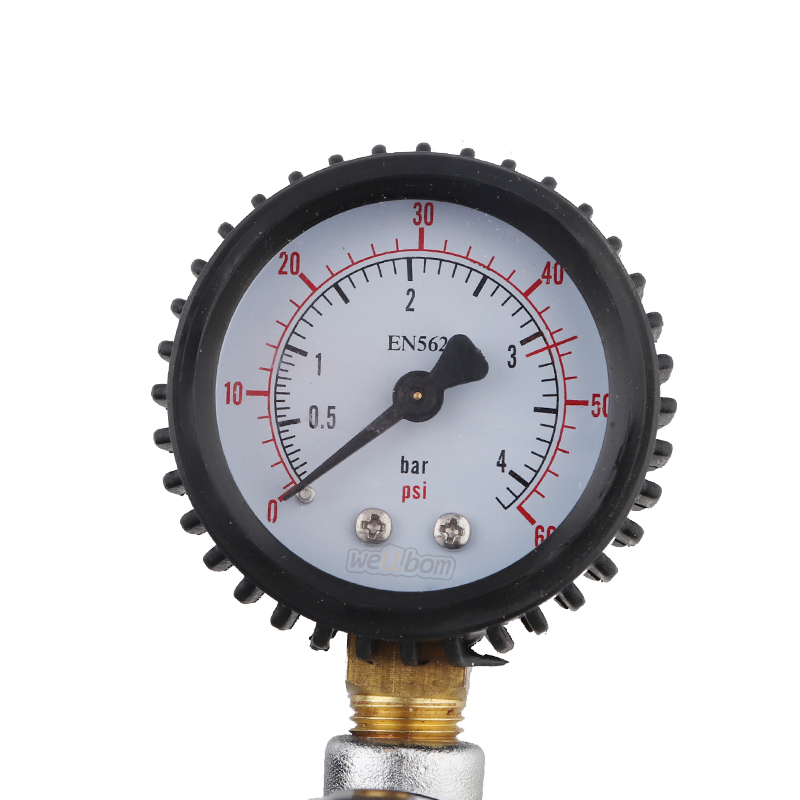 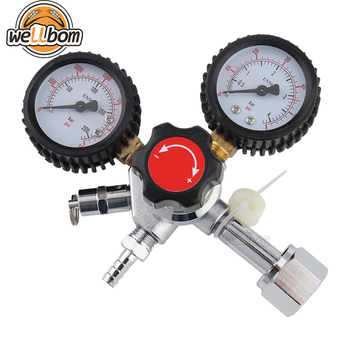 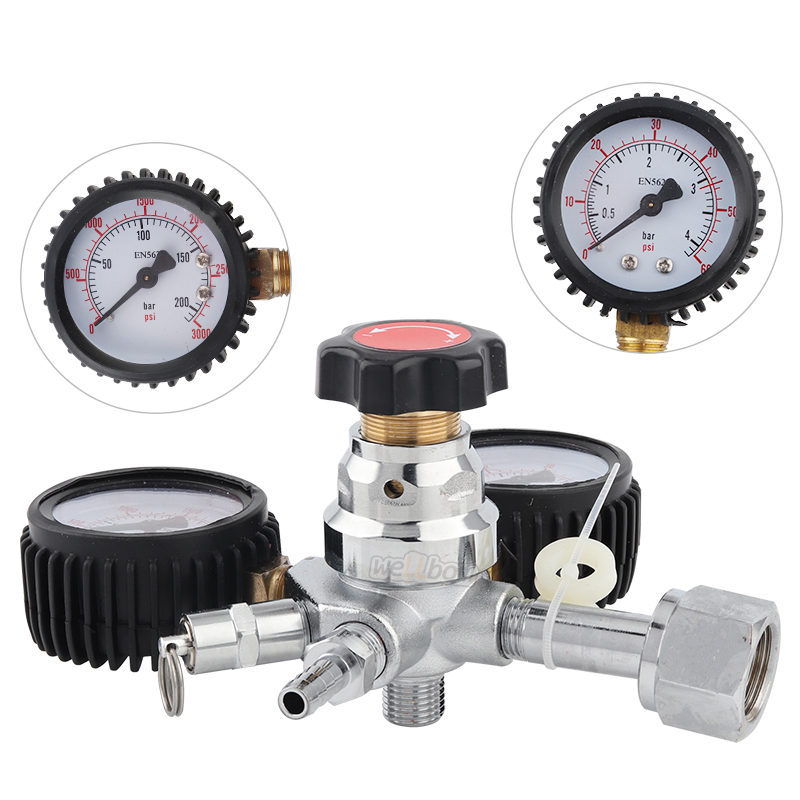 Dual CO2 Gauge Regulator: CGA320, W21.8, G5/8.for your choose, please let me know which one do you need? 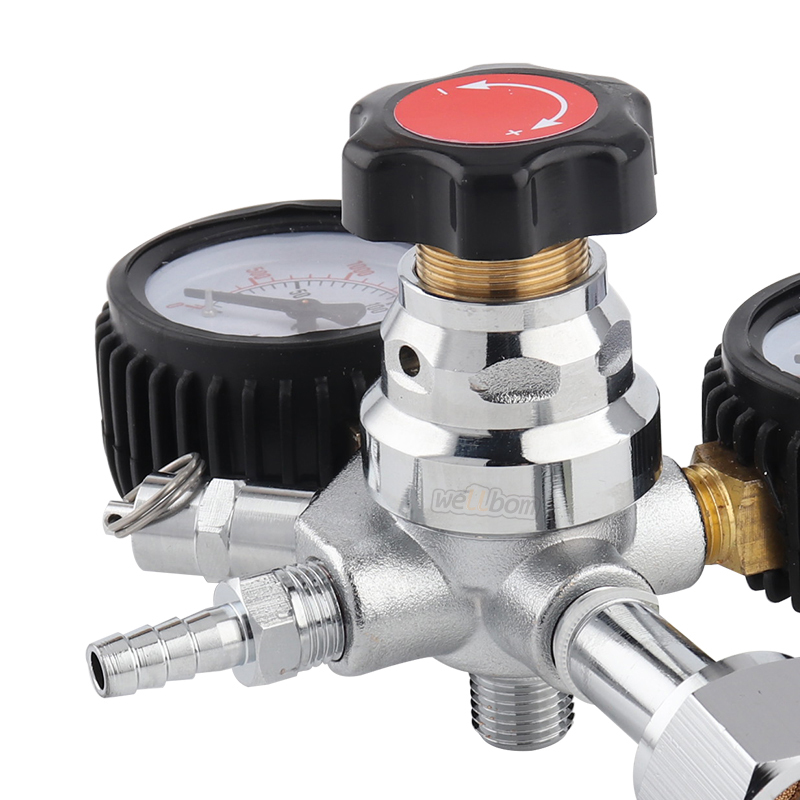 Easy install ,more convenient than one checkcalve. 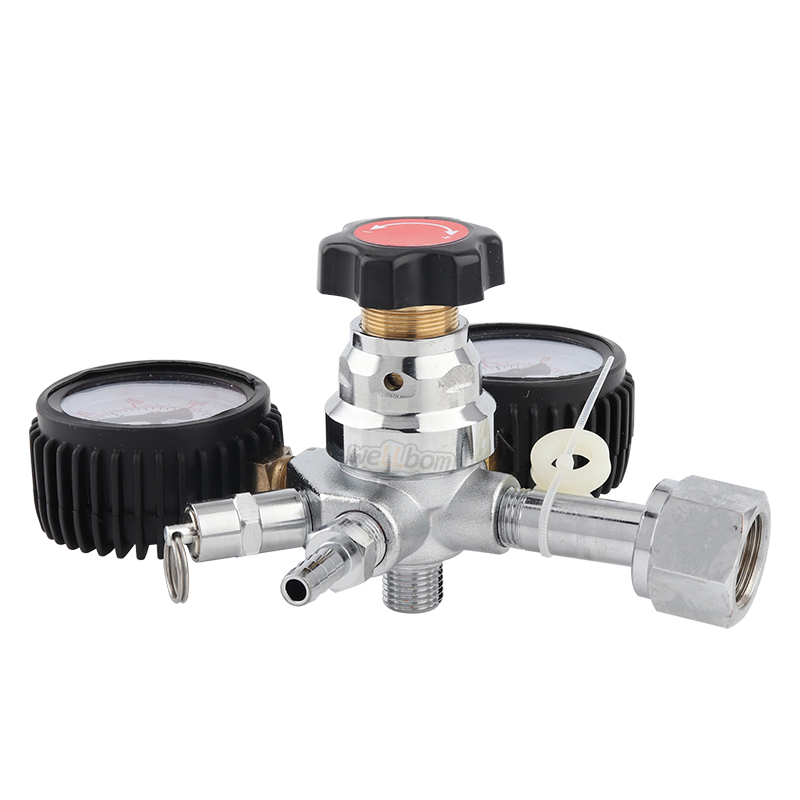 Square brass valve body, safety relief valve releases .